Thanks so much everyone for the support! I have been getting some questions on what I used to study for the Step 1, and here I’d like to address that. At AUC, in order to finish Basic Sciences, every student must pass the NBME Comp as well as a Kaplan Comp, to ensure that we have acquired sufficient medical knowledge to at least pass the Step. Most everyone in my class passes the Comps. After leaving the island, we have a semester’s worth of time to further prepare, improve, and take the Step (which is about a three month period). 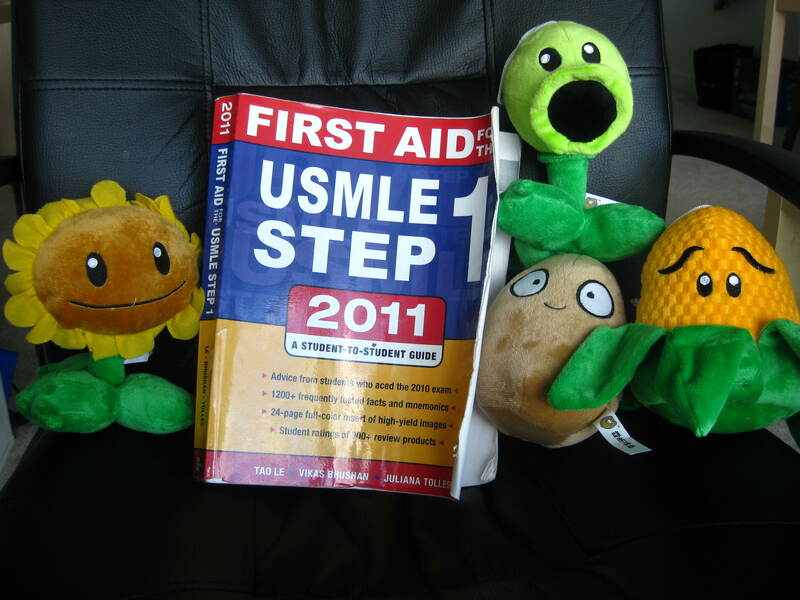 For me, the main resources I used to study for the Step are First Aid and USMLE World. I also met with a group of my classmates from school over Google Plus Hangout every day for several weeks, and together we’d go over the material in First Aid, following a strict study schedule that we had set up beforehand. 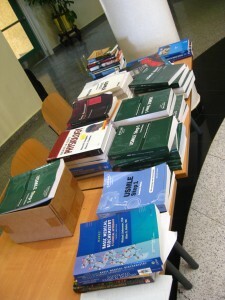 Each of us would also use other different study sources, like Goljan Rapid Review , First Aid Cases , or Doctors in Training videos, and whenever we met together, we would fill each other in with extra information that we had come across from our studies, while annotating that extra information into our First Aid books. After we had finished going through First Aid, we then started meeting every other day to share interesting practice questions that we had come across, and then discussing the information pertaining to those questions. It was very useful, and makes you remember things better when you discuss it. USMLE World (“U World”) is an online question bank that contains over 2000 USMLE-style practice questions. The format of the program is exactly the same as that of the real Step I exam. Each question has a really nice answer explanation, and the questions integrate different disciplines and involve a high level of thinking. You learn so much just from reading the explanations in the answers. I highly recommend subscribing to USMLE World when you’re preparing for the step. For the most part, I felt the questions in Step 1 was more straightforward and easier than USMLE World questions. Although I unfortunately didn’t get a chance to go over all the questions more than once (although I wish I did), I and many of my classmates highly suggest going through the questions at least twice. First Aid for the USMLE Step 1 (“First Aid”) is a review book that covers the most highly tested concepts on the Step. The charts and lists in the book are very useful, and the book provides a lot of mnemonics to remember details you need to know. Because it only covers the high-yield concepts, First Aid is the least you need to know for the Step. 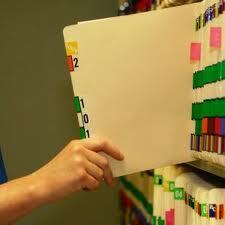 It’s important that you go over the book several times from cover to cover. Memorize the book. Although First Aid and USMLE World are great resources for prepping for the Step, I found that a lot of questions on the Step I was able to answer not because I learned it in First Aid, but because I remembered learning about it in class. Review books like First Aid may help you pass, but to excel, you need the valuable education you gain from school. Therefore, the most important factor for your success on the Step is learning the material well the first time during lecture, and at AUC, you have two years of access to professors, labs, lectures, TAs, books, and fellow classmates and friends to make that happen. The preparation doesn’t start after you leave the island. It starts from Day 1 of medical school. Make sure you go through all of the questions of USMLE World at least twice! In fact, I’d recommend making USMLE World your main study material. 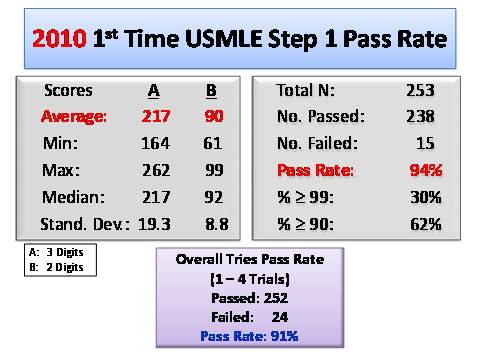 I say this because for Step 1, I read through First Aid several times but didn’t use as much USMLE World and although I passed the exam, I didn’t do as well as I had hoped for. But when I studied for Step 2 CK, I took another approach and focused less on a book, and instead went through USMLE World questions several times, taking notes from questions that I got wrong and making sure I understood the explanations. I also took a few NBME practice exams to gauge my progress. I ended up scoring much higher on Step 2 CK than I did from just relying mainly on First Aid as I did for Step 1. First Aid is no doubt a great prep book, as it will cover the most high-yield material you’ll need to know to do decent on the exam. However, I think the challenge of the Step isn’t whether or not you know the material in your brain, but how to apply the material to questions, and I think this is where First Aid is limiting, and why USMLE World is more useful. So instead of supplementing your First Aid with UWorld questions, I’d supplement your UWorld questions with First Aid instead! That looks really intense and challenging, looks like a challenge i would like to take on. Hey Izzy! 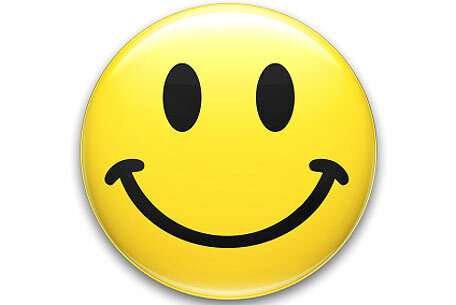 How’s everything going with you? Thanks for posting this entry! It’s really helpful because I can start pricing for books and look up other study material. No problem Deha! Good luck in med school! After taking the Step, I came to the same conclusion that you did. To excel in Step 1 its about studying well from day 1 of medical school, although starting from 3rd semester is good enough. Great post! Thanks Kwasi! Congrats on passing the big test and let me know where you schedule! I’ll be going in NYC later this fall. Hopefully I’ll see you around! What was the strict study schedule you all set up to study for step 1? Thank you for this info! With regard to your update regarding UWORLD… how do you suggest studying pharmacology and biochemistry? Is UWORLD sufficient (with First Aid as a reference)? So impressed by UWORLD so far. Thanks for any advice! Great website! If you read through the explanations for the answers in UWorld (even for the questions you get right), UWorld is like a review textbook in itself, and covers more material than just the question itself. Therefore, it does a great job in preparing you for the exam, not just because it provides questions, but also provides great explanation and information. This is true for pharmacology and biochemistry. I’d still recommend reading through all of First Aid just so that you don’t miss anything. Thanks for taking the time to reply! Appreciate the advice very much! Do you recommend purchasing the first aid book before coming to the island? Hi Tobi, I don’t think it’s necessary. I think it’s a little too early to whip out a review book for medicine before actually learning medicine. I think it would be much more useful to get first aid closer to your fourth or fifth semester. Hey Benji. I came across your blog while researching on USMLE. I’m currently studying in Ireland and I’m not sure if I should take USMLE. As an international medical student, I would like to widen my options and practise medicine in the US, but USMLE is definitely a difficult exam and given the amount of effort, time and money put into it, would you advice me to go for it? Considering the fact that it would be harder for IMGs to match for residency..USMLE is rather expensive for international students to take and the financial aspect (the application fees itself + Qbanks and resources) would be a big factor to consider. I’m afraid that I’ll either not do well in USMLE or probably do fairly well, but still couldn’t get matched. Kindly advice on it. Thank you so much!! Hi Michelle, if you want to practice in the US, then you would have no other choice but to take it. Before investing the time, effort, and money into the USMLE, I would definitely figure out where you want to live and practice. If that place is the US, then you’ll have to do whatever you can to succeed on that exam. Best of luck. I just found Pharmacology World , great resource for a complete pharm curriculum…prep for classes and usmle.